Born August 13, 1922, at Eads, Kiowa County, Colorado. Married September 23, 1945, at Eads, Kiowa County, Colorado. Karen Louse Baker, b. August 4, 1946, at Lamar, Otero County, Colorado. Marilyn Rae Baker, b. July 7, 1948, at Eads, Kiowa County, Colorado. Kenneth Dean Baker, b. October 4, 1949, at Eads, Kiowa County, Colorado. Always an exceptional student, Maxine completed the 7th and 8th grades in one year, thus graduating from school a year early. After graduating from high school in Eads, she attended Barnes Business School in Denver. She returned to Eads to work in the First National Bank. After about a year, she took a position in the office of the Kiowa County Treasurer. She then advanced to a better paying job with the Department of Public Welfare. During the war years, activity became so slight in this office, Maxine decided to further her education and attended the University of Denver as an accounting major. After a few years employment in Lamar and a marriage, she returned to her hometown and began what would become a 36-year career with the United States Postal Service, the last 9 years serving as Postmaster. Maxine studied and tested to get her pilot license so she could enjoy the freedom of the skies along with her husband, Rich. During the 25 years they owned their own airplane, they participated in many fly-ins with Flying Farmers and traveled extensively. Fishing, hunting and traveling were her primary hobbies. She caught sharks off the coast of Mexico, trout in the Canadian Rockies and salmon in the Pacific Northwest. Her travels left her with many memories of events, places and people. Maxine never knew either of her grandmothers, so it was important for her to know her grandchildren personally and for them to know her. She looked forward to spending several weeks each summer with each of them. 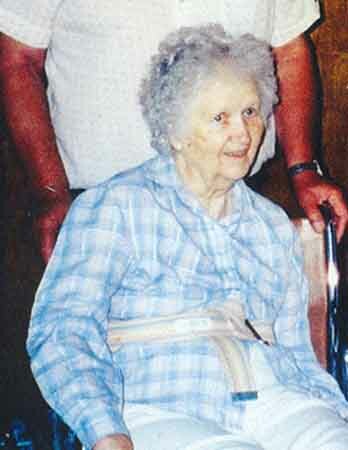 At the time of her death, she had fifteen grandchildren and ten great-grandchildren.